Do you sometimes ask yourself why you can't just get your multivitamins & minerals from food? The truth is that most people aren’t eating a healthy, balanced diet on a regular basis, even if they think they are. This may sound difficult to digest, but the reality is that what you think is healthy isn’t always the case. You may be eating a "healthy" diet which is not aligned to your body type, or you may not be absorbing your nutrients due to a weak digestive system. Another reason why you may not be getting enough nutrients in your food is due to the modernization of food production. Farming methods have changed drastically in the last few decades in the interest of increasing quantity and profit, while compromising on quality. Food is picked before it is ripe and transported across the globe and artificially ripened. GMO foods are being grown in soil that has been overused and depleted in nutrients. For example, magnesium in food has rapidly declined because it is being grown in soil that is deficient in this mineral. The good news is that there is increasing awareness about organic farming methods and local produce which is generally more nutrient-rich than conventional produce. When you eat organic, local produce, you benefit from the natural synergy of nutrients in whole foods – vitamins, minerals, enzymes and prana or qi (life force). Try going to a local farmer’s market this season, or growing edible plants in your backyard - you can definitely see, taste and feel the difference. If you are trying to address your nutrient deficiencies through diet, keep in mind that you need to make a consistent effort to have an impact. If you are unsure if you are deficient in nutrients, there are many tests available through your naturopathic doctor to identify deficiencies and excess of heavy metals. Read more below on 10 nutrients you can get from your diet. A crucial building block for hemoglobin, iron plays an important role in building blood. Meat is a rich source of heme iron (the type of iron our body uses in blood). It is best to choose meat that is lean and organic. Vegetarian sources of iron are non-heme iron forms and require consistency in the diet as they can be more challenging for some individuals to absorb. You also need to be aware that iron absorption can be reduce with foods heavy in fibre or oxalates. If you would like to build your iron levels through diet, please speak with your naturopathic doctor on ways you can successfully do this. Iron-rich foods include: liver, kidney, fish, meat, poultry, eggs, dark green leafy veggies, beets, whole grains, pumpkin & sunflower seeds, nuts, raisins, prunes, dates and legumes. This mineral is involved in numerous enzymatic processes in the body, and is known for supporting wound healing and skin issues. 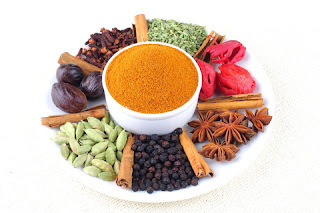 It is a crucial factor for building the immune system, and essential for male health. Zinc-rich foods include: shellfish, red meat, whole grains, legumes, nuts (cashews, pumpkin, sunflower seeds), mushrooms and eggs. This is an essential mineral that plays a critical role in reproduction, thyroid metabolism and protection from oxidative damage. Though you don’t need a lot of it, if you are deficient, your body can’t do everything it needs to. Selenium-rich foods include: brazil nuts, garlic, onions, broccoli, tuna, halibut and other animal protein. This is the most abundant mineral in the body and is crucial in building bones & teeth. It is also involved in muscle contraction, signaling between cells and nerve transmission. Pregnant mothers and growing children require abundant Calcium and minerals in the diet, and they need to make sure they are getting enough in the diet or with supplementation. It’s a myth that you can only get calcium from milk. If you are unable to take dairy products, there are many other sources of calcium. Calcium rich foods include: dark leafy greens (kale, dandelion, spinach, broccoli), almonds, walnuts, sesame seeds, kale, tofu, salmon & sardines (with bones) and dairy (if able to digest). This mineral is required in the body in trace amounts and plays an important role in blood sugar regulation, as it enhances the action of insulin. Those who have concerns about preventing or managing diabetes should speak to their naturopathic doctor on how much chromium they need. Chromium rich foods include: broccoli, potatoes, meat, poultry, shellfish and whole grains. This trace mineral is a crucial factor in producing thyroid hormones which regulate your body's metabolism. Certain areas are lacking Iodine in the soil which results in Iodine deficiency. Iodine-rich foods include: seaweed (kelp, nori, wakame). Found in seafood & dairy in smaller amounts. This mineral is a cofactor in hundreds of reactions in the body involving muscle and nerve function, protein synthesis and much more. Magnesium promotes relaxation and helps build bones & teeth. If you are struggling with muscle tension, anxiety, check with your naturopathic doctor to find out if you may be deficient in Magnesium. Magnesium-rich foods include: almonds, cashews and other nuts, green leafy vegetables, cacao, quinoa, whole grains, avocado and other vegetables. This is a fat soluble vitamin known for it's role in supporting vision, as well as reproduction and immune function. In excess dosage, vitamin A can be toxic during pregnancy so it's important to speak with your naturopathic doctor on how much Vitamin A you should be getting. Vitamin A rich foods include: sweet potato, carrots, liver, butter, egg (yolk) and fish oil. This group of vitamins has a wide range of vitamins ranging from B1, B2, B3, B5, B6, Folate, B12 and are involved in energy production in the body, nerve tissue, blood formation and much more. These vitamins are widely available in food, so if you are eating a balanced diet with variety, it is not difficult to get your B vitamins from food. A lot of food is also fortified with B vitamins (cereals, pasta, alternative milks etc). B vitamin rich foods include: bee pollen, dark leafy greens, sunflower seeds, animal products (B12) and fermented foods. To learn more about foods rich in specific b vitamins, speak with your naturopathic doctor to help identify foods that are beneficial for you. This water-soluble vitamin is an anti-oxidant that is essential in keeping your immune system strong. It also helps repair tissue (after an injury or surgery) as it is a backbone for collagen and connective tissue. Unlike in animals, humans cannot produce vitamin C in their body and require it in their diet. There are more foods than just orange juice that are rich in Vitamin C such as: guavas, red & green peppers, dark green leafy veggies, broccoli, brussels sprouts, strawberries, papayas, cabbage, citrus fruits, amla berry (used in Ayurvedic medicine). Including some of the foods above on a regular basis can help you stay healthy. A balanced diet not only includes what types of foods you eat, but also at which time in the day & season, and according to your body type. If eating healthy is a challenge for you or if you have specific health concerns, there are many options for supplementation. In conditions such as osteoporosis, anemia, stress, active lifestyle, and pregnancy, there are extra demands on the body which may require you to supplement in addition to eating healthy. If you have digestive issues, even if you are eating right, you may not be breaking down and absorbing nutrients well enough to meet your body’s demands. There are a variety of good quality whole food supplements on the market which have concentrated nutrients from food. If you are interested in learning more, come by the clinic for a free sample and meet our naturopathic doctors to customize a diet plan for you. It has been referred to as “midlife metamorphosis”, the 10 years or so before the cessation of menses. 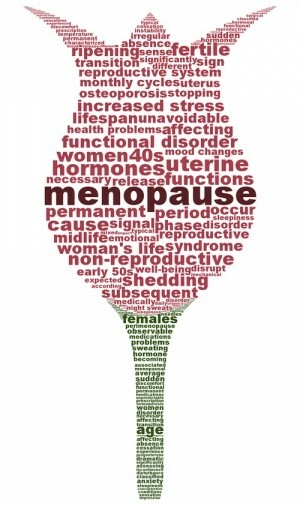 Between the ages of 40 and 50, women experience hormonal changes as the body prepares to transition into menopause. How we experience this transitional journey is dependent on many factors: lifestyle, diet, liver health, thyroid function and adrenal status. 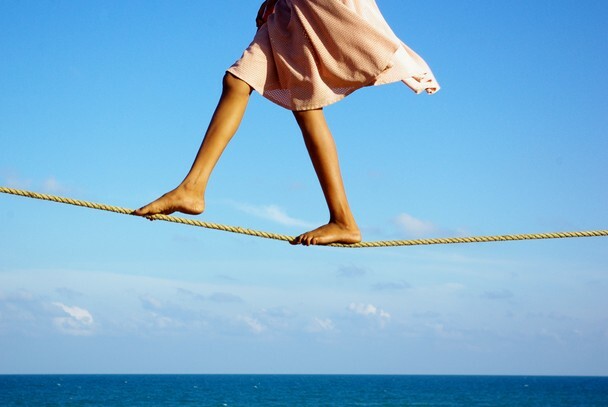 While the range and severity of symptoms vary from one woman to another, there’s one key underlying factor that will ease or exacerbate perimenopause: adrenal status. As the ovaries decrease and eventually stop their production of estrogen, progesterone, DHEA and testosterone, the adrenal glands need to be able to take over hormonal production. Women who have experienced extended periods of high stress throughout their life as well as those who may be nutritionally deficient as a result of sub-optimal dietary habits are far more at risk of experiencing a challenging hormonal transition. Since the level of adrenal depletion will determine how challenging perimenopause will be, finding out one’s adrenal status (Salivary Adrenal Stress Index and DUTCH test) is an important part of this menopause preparation journey. Once the adrenal status is determined, the appropriate treatments, including vitamins, minerals, and botanicals may be used to support and restore the adrenals. 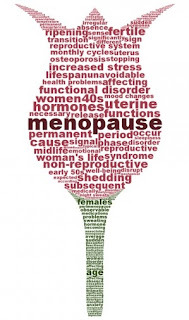 The pre-menopause journey provides a very important opportunity for women to pause and look at what’s working and what needs improving- self-care, lifestyle, relationships, diet, hormones, so that we may improve and build on the health that will sustain us for the rest of our lives. It truly is the perfect time to press the mental, emotional and physical health re-set button. Dr. Nadine Cyr is a Naturopathic Doctor at Naturopathic Foundations with a focus on women's health and pediatrics. She has been a Naturopathic Doctor for over seventeen years and is passionate about finding and treating the underlying causes of dis-ease. To book an appointment with Dr. Nadine Cyr, please call the clinic at 905-940-2727.